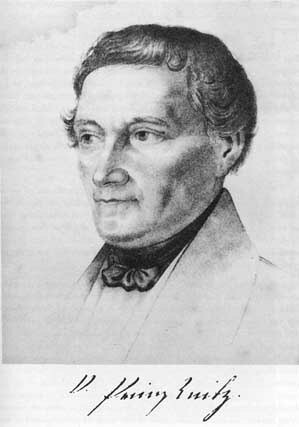 The water-cure was introduced into America in 1844 by Joel Shew, M.D., who had gone to Austria to study the water-cure under Priessnitz. He was one of a number of American physicians who did this, among whom was Edward A. Kittredge, M.D., of Boston. The introduction of hydropathy into this country occurred 22 years after Jennings had discarded the drugging system and adopted the Hygienic practice. Its introduction occurred 14 years after Graham launched his crusade and about an equal time after Alcott began lecturing and writing; it was nearly ten years after the founding of the first Physiological Society in Boston, seven years after the publication of the first issue of The Graham Journal of Health and Longevity and five years after the publication of Graham's Science of Human Life. The Hygienic movement was already well established and had thousands of adherents at the time of the introduction of the water-cure into this country. Its books and magazines already had a wide circulation and others besides Graham, Gove and Alcott lectured to the people on Hygienic living. Great numbers of physicians had lost confidence in drugs and took advantage of the water-cure as a means of escaping from the drugging system. Even though they adopted more or less of Hygiene in connection with their water-cure practices, they called their practice hydropathy and called themselves hydropathists. Hydropathy may be justly regarded as a convenient escape-hatch, as many physicians who turned to water-cure thought of water as an agent that could be made to take the place of drugs altogether. In other words, they professed to be able to do with water everything that they had formerly sought to do with drugs. As A. J. Compton, M.D., wrote in the Journal, December 1858: "Some hydropathists use water as a drug, imputing all the agency to the water; but such are only following in the beaten paths of drug-venders . . ."
Writing in the Journal, October 1857, G. H. Taylor, M.D., said that it is frequently asserted by water-cure practitioners that "all the virtues (?) of drugs are imbodied in this single substance (water); in its power to produce emetic, stimulant, anti-febrile, counter-irritant, and a host of other effects, rivaling the vaunted qualities of remedies set forth in the most approved pharmacopeias. Some argue for a verbal modification of this statement, in the distinction, that one set of curative measures employ poisons, while the other does not. This distinction becomes insignificant when effects are regarded, in which we are really to decide which is least inimical to vital welfare, rather than upon abstract chemical quality." Taylor further said that "it is this reliance upon the use of water to produce these manifestations, not inaptly called crises, that is the cause of much danger to the perpetuity of the system of medicine that we employ; and though the ignorant and empirical use of these means be decidedly better than any other, because based on a higher fundamental idea, yet the practice should be carefully guarded lest it degenerate into a practice no better than the theory." America's first hydropathic institution, founded by Joel Shew, M.D. Houghton declared water to be the best, the safest and the most universal of "our remedial agents." Writing in the Journal, January 1854, Dr. Kittredge said: "I only wish to tell you--and I know what I tell you--that water and its adjuncts are all-sufficient in all cases." In this instance, what Kittredge regarded as adjuncts to water were Hygienic means. So great was the importance that some hydropathists attached to the establishment of correct habits, that there were among them those who contended that their success in the care of the sick was attributable to this and that the water-cure processes were of no account. It was quite natural that the dyed-in-the-wool hydropathists should deny the truth of this, even while placing great stress on correct living habits. Greater consideration of the work of Jennings and of the accomplishments of the Grahamites before the water-cure was introduced into America, would have convinced even the most devoted water-cure enthusiast of the soundness of this position. There were, on the other hand, many hydropathic institutions and hydropathic practitioners who did not rely upon any correction of the ways of life. Mrs. R. B. Gleason, who, with her husband, conducted one of the leading hydropathic establishments in the country, says of the many water-cures she visited that: "In most of them, water is the remedy, and the only one employed." She mentions attention to diet at a few of these institutions. Many hydropathists considered flesh foods to be indispensable to man's highest physiological condition and many of them thought that unbolted meal was too coarse for the human digestive tract. A hydropath of the sixth decade of the past century likens some of the splashing and douching of the time to Noah's flood. In 1850 Catharine E. Beecher contributed an article to the New York Tribune containing her second report on hydropathy in America, the first having been published three years previously. Miss Beecher's second report was written after more reading, more investigation and more personal experience with hydropathy. In this report she said: "It is important that the public should understand that there are two schools in the hydropathic world, one of them following what is called the heroic treatment, of which Priessnitz is the exemplar; the other adopts the more moderate method and the German author, Franke, is probably the fairest exponent of this school." Many hydropathists of the period also gave drugs; and when their patients recovered, they were as likely to credit the recovery to the drugs as to the water treatments. Indeed, some of them frankly stated that drugging was their main reliance and that water was subsidiary to the drugs. This attitude was commonly shared by patients also. At the present time we find that one who receives chiropractic adjustments in addition to Hygienic care is likely to think that the adjustments restored health and that the Hygiene had little to do with the recovery. Little pills or little punches, either is likely to get the credit and the healing power of the body is likely to be ignored. It should be obvious to the reader that when two systems so diametrically opposed as Hygiene and drug medication are brought together and recovery follows, Hygiene will not receive credit in the common mind. There was considerable controversy at the time between hydropathists over the matter of which water, soft or hard (mineral laden), was best for use in hydropathic practice. Some insisted upon soft water, while others credited the minerals in hard water with remarkable curative efficacy. Dr. Jackson castigated hydropathists who used hard water, saying he did not know one of them who did not also use drugs. He indicated also that they gave very little attention to diet, did not serve plain fare and fed condiments. Also, he said that they fed stall-fed meats to their patients. On the other hand, those devotees of hydropathy who mixed drugs with their hydriatic practices called all who rejected drugs "radicals," "ultra," etc. Many hydropathists were as little concerned with Hygiene as were the medical men of the time. They cured their patients with water applications and had no real need for aids. One Hygienist complained that the hydropathists were too much inclined to try to effect the necessary changes in the sick organism by "regulating the functions of the body," with hot and cold applications, thus violating the grand requirement of nature that causes be removed. The water-cure practitioners denied that removing the cause of disease and supplying the conditions of health were enough, contending that the causes of disease had produced their legitimate effects, so that there exist pain and suffering, a morbid condition which required active curative measures to overcome. On the whole, however, the water-cure institutions seemed to have been well conducted. Visiting several water-cure institutions in 1853, Dr. Alcott reported of them: "While I am not displeased with the forms and modes, I am particularly pleased with the spirit which prevails in many of the institutions for water-cure which, during the last two years, I have visited. I have found their conductors to be men of more general information and of more liberal spirit than I had supposed . . . The institution at Troy, New York, formerly, for a time, under the care of Dr. Bedortha, Dr. Jennings, and others, but now under the direction of P. P. Stewart, Esq., in some of its features, please me exceedingly . . ."
Once raised in the mind, one has no more power to lay down or lay aside an awakening doubt than a frightened girl has to dismiss a ghost. The doubt simply will not down; it is ever present with us. When a man begins to doubt the drug system, it is difficult to stop. Strange, is it not, how a new idea, interpenetrating one's brain and getting within the range of one's consciousness, quickens his whole sensibility and forces his intellect to act in spite of his prejudices and desires to the contrary. An example of the transforming power of a new idea is supplied us by Dr. Jackson's conversion to hydropathy. He explains in an article in the October 1861 issue of the Journal that he had just as much faith in the dogmas and postulates of the allopathic school of medicine in which he had been educated as he had in the creed of the church of which he was a member, and that he had no more desire to disbelieve his allopathic education than he had to become an infidel in religion; but he had come face to face with a group of facts that varied in their character and which had been presented to his consideration from different angles and under different forms and that challenged his attention and demanded of him an account of them, upon any acknowledged and well-settled philosophy within the sphere of that school of medicine whose pupil he was, and the averments in which he had always cherished the most implicit reliance and faith. He tells us that he tried to set them aside, an act for which he was ashamed. "For one ought always to be ashamed to be compelled to say that he was ever disposed to set aside his reason and be governed by his prejudices." But, he had the old faith and the old love and the fervor of affection for old things was upon him; he had not learned that no man has the right to set aside truth or to call it common. He struggled to dismiss the issue and to force himself to ignore the plenitude and power of the facts and remain uninterested and uninquiring. And what were these facts?He had seen a number of patients recover health from apparently hopeless conditions without drugs; within a few months these so-called incurables were walking about quite vigorously and ultimately returned home in good health. He reasoned to himself: "What power is it that has done this work?" He answers: "One naturally would, under such a glimmer of light as I had, be disposed to ascribe the result to some specific agent. I jumped, as many people have since done when thinking this subject over, to the conclusion that water was entitled to the credit of it. In other words, I reasoned about it just as persons generally do, and as you do about the efficacy of medicinal agents." Jackson thus repeated an old and common mistake--that of mistaking coincidence for cause. Every so-called curative means has been established in just this same way. If it is used and the patient recovers, recovery is attributed to its use and the healing power of the body is always ignored. There is no more reason to think that water used hydropathically restores the sick to health than there is to think that drugs do so. Frequently we read the assertion in medical literature that the living organism is self-healing and that most of its ailments are self-limited. Hippocrates is credited with asserting the existence of the vis medicatrix naturae--healing power of nature--although he certainly did not phrase it in its traditional Latin form. It is not certain what he meant by nature. Sir William Osler declared that: "What nature cannot cure must remain uncured." We could fill a book with statements of this kind from leading thinkers in the various schools of so-called healing, but there is a curious and puzzling paradox associated with these declarations. Although the fact that the organism heals itself is fully established, the great majority of practitioners of all schools of so-called healing and the people in general continue to behave as though they have no understanding of it. They administer their drugs and prescribe their remedies and when normal function has been restored, they are in a hurry to give full credit to their alleged remedies for the recovery and wholly ignore the vital part taken by the body in healing itself. It should be obvious to everyone that if the body is self-healing, no matter what kind of so-called remedy is employed, credit for recovery should go to the biological processes and not to the drug or treatment. As Dr. Tilden so well expressed it: "All cures ride to glory on the backs of self-limiting and self-healing crises." Unless we understand the biological processes by which living organisms heal themselves and assure their survival, we are sure to deceive ourselves when we attempt to evaluate the various cures and treatments offered by the curing professions. We tend to believe that the healing process is not exclusively inherent in the living system, but may also exist in extraneous agents, so that we speak of such agents as being possessed of the power to heal. Once having accepted this view of healing, there seems to be no end to the number of arguments which we can bring forward in support of the healing power of our pet remedies. Trall once complained in an editorial that "sick persons and invalid individuals are continually writing us from all parts of the country concerning their maladies, and asking us to send them a remedy; to tell them how to use water in a given case; to advise them what particular bath is applicable to a certain complaint; to prescribe the manner in which water should be used in a liver complaint; or a rheumatism, or an ague, or a palsy; ignorant or heedless of the fact that either one or a dozen remedial agents may be as important as water in the case mentioned." of all things, at that, as a remedial agent. At its best, it is a relatively harmless means of palliation; when applied repressively and heroically, it may be disastrous. "Now, water is all it claims to be," continued Trall. "A flood of it can be very profitable employed in washing away the causes of human infirmities; but water alone is poor Hydropathy. This, as a system of the healing art, gives equal prominence to each hygienic agent or influence, whether it be water, air, exercise, food, temperature, &c." Thus, he at that time equated hydropathy with Hygiene. They were one system. He continues: "It is amazing to notice with what 'eternal vigilance' our critics speak of Hydropathy on all occasions as though it were water and all water, and nothing but water. And, in fact, many of those who write themselves up or down as 'Water-doctors,' do just precisely the same thing, whilst not a few of them make a whole system of either or several of our hygienic agencies." This reveals that, as a Hygienist who used water-cure and sailed under the banner of hydropathy, he was faced with the constant necessity to defend, not hydropathy, but his own practice from the charge of being a water-cure. "And again," he continues, "we have among the keepers of Water-Curing establishments and watering places, a variety of systems, made up of one or more of our own Hydropathic or hygienic applicances. Thus one advertises Hydropathy and 'Motorpathy;' another, Water-Cure and 'Statumination;' another, Hydropathy and 'Kinesipathy;' another, Hydropathy and 'Electropathy;' another, Hydropathy and 'Atmopathy;' and another, a trio of pathies, Hydropathy, Atmopathy and Thermopathy." He says of these "pathies" that, "if we were to translate these titles into plain English, we should, perchance, dissipate the charm of the thing at once. If for Motorpathy we read motion, or exercise; for Statumination, ditto; for Kinesipathy, ditto; for Electropathy, ditto; for Atmopathy, air, and for Thermopathy, temperature, the mystery, and possibly the merit of the double or triple pathy would 'depart hence,' very much as the darkness is sometimes said to 'fly away' about the time 'Sol rises in the east.'" All of this reveals the fact that great numbers of water-cure practitioners recognized that air and exercise and other Hygienic means were separate from hydropathy and that, when used in conjunction with it, were not parts of hydropathy. Trail complained on this occasion that he was constantly having to repel the charge of "oneideaism" and that he had to labor with equal zeal to prevent his own readers from developing the "one-ideaism" of which he and others were accused. What he was doing, however, was that of mistaking the combination of hydropathy and Hygiene for hydropathy. In this same editorial he says: "Above all things, let them never forget that whatever the malady, all hygienic agencies--anything in the universe except poisons--must be adapted to the particular circumstances of the case. Avoid one-ideaism in our own system, as much as you abhor that smallest of all small ideas in the drug system, viz., that natural poisons are nature's remedial agents. "This was not hydropathy or water-cure, but it spread Hygiene rather thinly over too much territory. It is significant that on this occasion and on the same page of the Journal, Trail carried a brief account of the commencement exercises of the college and the statement that one of the graduates, Edwin Balcome, of East Douglass, Mass., read a paper entitled "Hygiene and Hydropathy." I recount all of this to show that the efforts that were made, futile as they were, to make hydropathy into a comprehensive system led to the recognition of the actual apartness of the two systems and to a realization that in sailing under the banner of hydropathy, they were sailing under the wrong banner. It was finally fully realized that water as a curative means was not more efficacious than drugs. Writing in the August 1857 issue of the Journal, Trail said that he had no faith in the virtues of water in the treatment of disease. "All the virtue we have to deal with," he said, "exists in and is a part of the living organism." He said that he had "as much faithin the virtues of calomel, arnica, peltatum, or lobelia, as we have in the virtues of cold water, and we fear that those who talk about the virtues of either have a very erroneous or imperfect idea of the true basis of the healing art. And when persons are mistaken in theory, they are very apt to be defective, and sure to be empirical in practice." Trail added that some water-cure physicians and water-cure devotees derive their ideas "from allopathic schools and books," rather than "from truth and nature." These, he said, "undertake to substitute water for drugs. They recognize virtue as dwelling in calomel and water--in everything except the human constitution--and they prefer water solely on the ground of its superior safety; they seem to think that there is virtue enough in the drug, but somehow or other it is dangerous to handle . . ."
Writing in an editorial in August 1861, Trail said: "Water possesses no power whatever to cure any disease. Nature is the remedial principle." He had come to realize that hydropathy was a system of palliation, or in other words, of symptomatic suppression. He asserted that when fever is reduced with hot or cold applications, it is "killed or cured" on the principle of inducing vital actions in another direction. If the fever is an evil, this redirection of vital action may somehow be construed as a benefit; but if the fever is part of a remedial process, the redirection amounts to suppression of the remedial effort. So great became Trall's criticism of hydropathic practice that he was accused of trying to destroy hydropathy. Replying in an editorial in the August 1858 issue of the Journal to a charge made by a hydropath that he "will almost be the ruin of hydropathy," Trall said: "We intend to ruin it completely." This indicates that he had come a long way since he first began practicing as a hydropathist. Precisely at this point we may close our story of hydropathy or the water-cure. 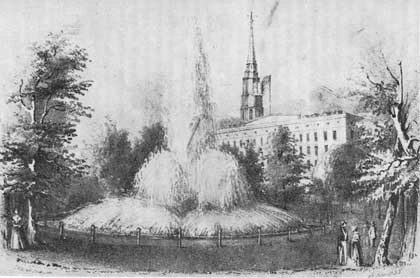 Instead of being a revolutionary movement, it turned out to be a mere reform movement; instead of calling for radical changes in the ways of life, it sought merely to substitute water in the form of baths, hot and cold applications, enemas, douches, packs, fomentations, dripping wet sheets, etc., for drugs. Such treatments have no legitimate place in a system of Hygiene.